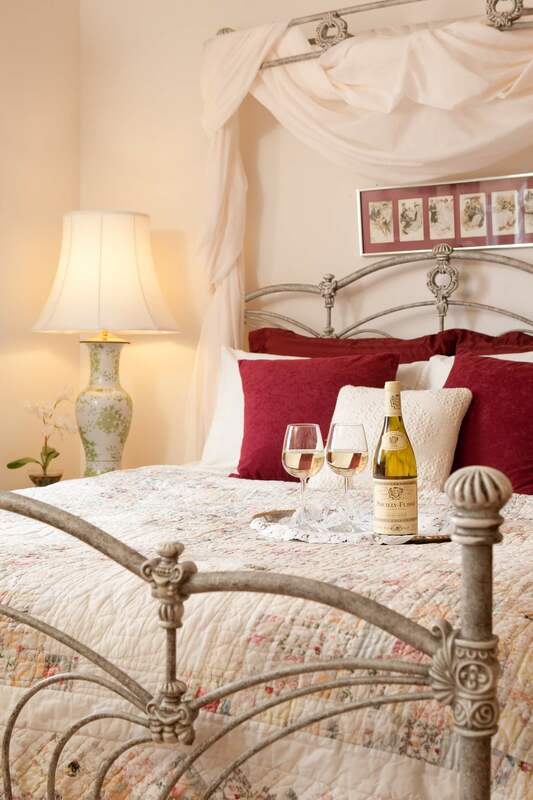 Definitely French, definitely romantic, this marvelous room features a red-pillowed, iron canopy bed draped in softness. 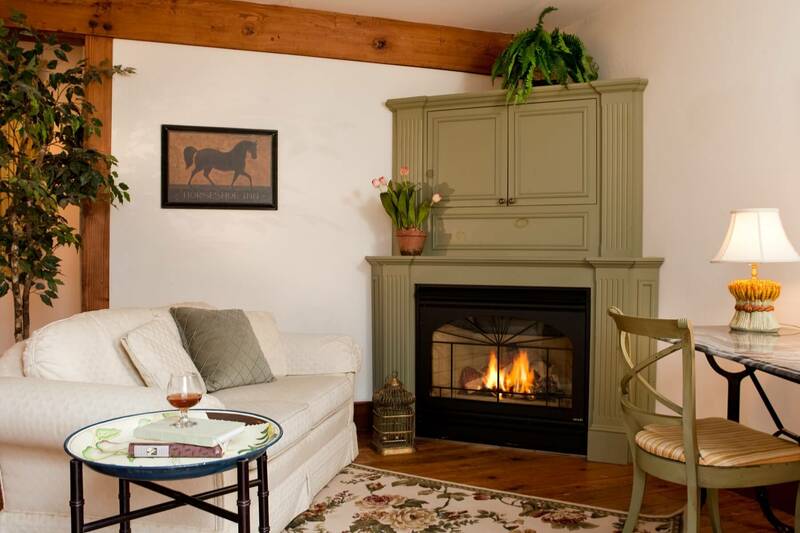 A large sitting area offers a cozy loveseat, gas fireplace (Oct. 1 – April 30), marble-top writing desk, and cable TV with widescreen TV/DVD, free wireless internet. A double armoire and richly painted dresser provide plenty of space to lay out all your belongings. 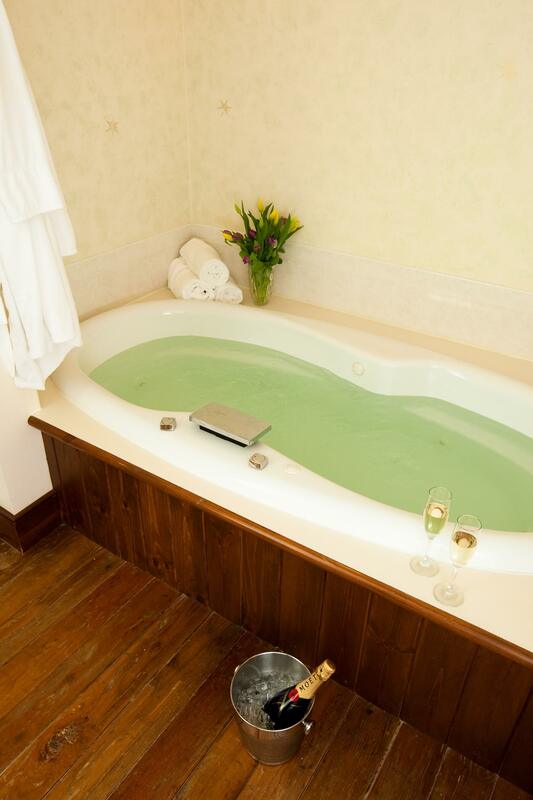 The Lily’s large en-suite bath features an oversized two-person Jacuzzi tub, separate walk-in shower, and heated towel rack. At the end of the day, return to this relaxing room for a soak in the tub or enjoy the sunset from the deck just outside your room. 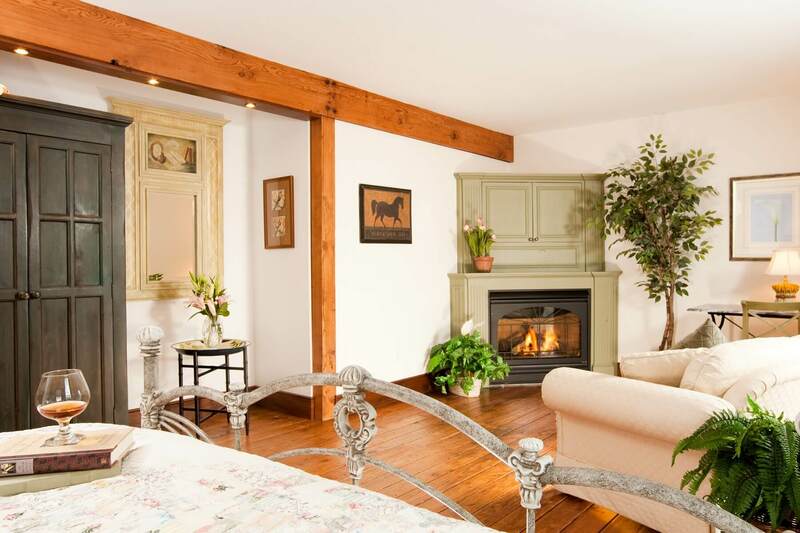 The most romantic guestroom in Mystic awaits!